Caption. Viktorija Moskina reporting out the team fable. © Photo by Anda Saltupe, 2016. Like L'Estrange’s self-important fly - “What a Dust do I raise! says the Fly upon the Coach-Wheel? and what a rate do I drive at, says the same Fly again upon the Horse's Buttock?” - the fox assigns herself an underserved elevated position, making her personal appearance more important than helping build the balloon. We may think we are important – which, of course, we are - but we are not that important when group effort is needed. The supercilious fox is like Aesop’s grasshopper who idles away the summer and starves in winter. But, let's not forget the fox's perspective; her looking good, adding a touch of class to the group, has its merits. *Group 5: Evita Stankeviča; Lana Augule; Inga Vovčenko; Tamāra Černišova; Ilona Vēliņa-Švilpe; Ieva Krūmiņa; Viktorija Moskina. 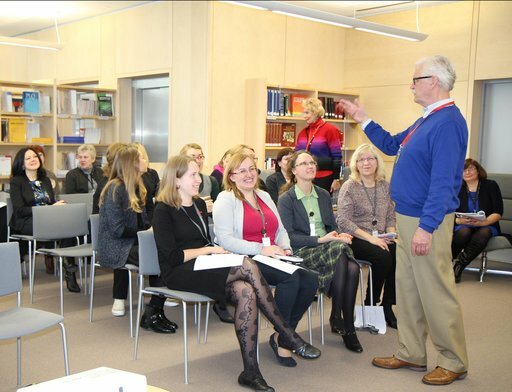 **This is the fifth and final fable from the "Wisdom in a Thimble: Managers and Fables" discussion I led at the National Library of Latvia in Riga, February 24, 2016. 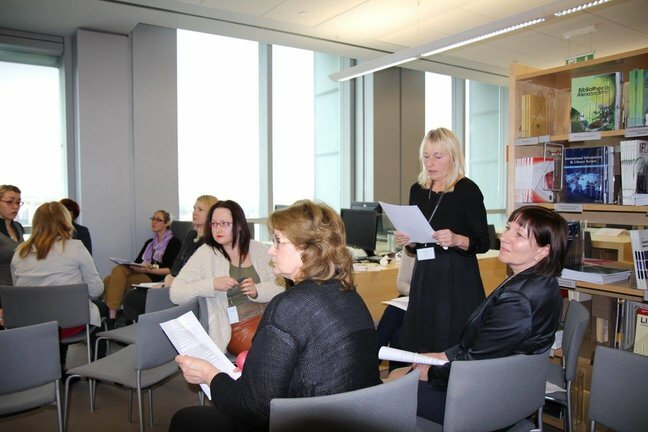 Group 4’s Sanita Pretkalniņa reporting out. a. Make sure there’s a Real Problem. b. Always prefer expert advice over that offered by a user. c. Be flexible, if the first solution fails. d. Pay attention to the membership of the team. e. Don’t do it all yourself. Which answer do you think is most applicable to Group 4’s Fable? I can draw from early in my career - when committees became all the rage - how academic libraries constituted task forces. The most common technique was to draw one person from each unit, department, division, etc; a misguided form of democracy, if you will. Groups like this usually produced compromised and unimaginative results at great cost to the organization. Recent research reveals that a group’s success improves greatly when all members take part in discussion and activities (no member dominating). And, the group is successful when it includes members who can read complex emotional states (high social IQ). While the research suggests a third criterion, gender, I’d say that might apply to organizations with a 50/50 ratio, but it’s an unhelpful criterion for organizations with an 80/20 ratio of women to men. So, appoint members for their good social intelligence and proven ability and willingness to participate. That composition, under the right leadership, will succeed far more than one drawn exclusively from stakeholders. Group 4's Māra Jēkabsone (left) taking part in the “Name That Fable!” segment. *Group 4: Sanita Pretkalniņa; Ludmila Viļumova; Anda Simina; Iluta Krūmiņa; Anda Saldovere; Kristīne Robežniece; Māra Jēkabsone; Lilita Rudzāte. **This is the fourth fable created by small groups at the "Wisdom in a Thimble: Managers and Fables" discussion I led at the National Library of Latvia in Riga, February 24, 2016. In Praise of the Unboss. 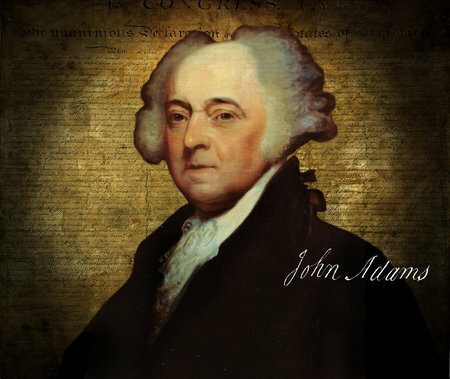 Caption: John Adams (1735 – 1826). The Declaration of Independence in background. A friend alerted me to Joshua Rothman’s lengthy (synonym: New Yorker) commentary on the leadership industry. (I guess my blog is one not-for-profit tittle in that biz!) His essay, “Shut Up and Sit Down: Why the leadership industry rules” explores leaderly concepts and such, along with the theorists’ latest theories. And, unavoidably, writing in the New Yorker, he tends to mention the bad leading on one side of the political spectrum more than on the other. Leaders, regardless of political leanings, either resist or succumb to the temptations that come with being anointed leader. It is a question of character. Do you keep your equilibrium and an objective sense of humor about who you are or do you begin to believe the sycophantic praise? Regardless, I think you will find the article quite fascinating, an enlightening ramble among the thorns and rushes in the bog we’ve termed leadership, often confused with the person who helps us help ourselves out of a bad spot or who remains – along with us - mired therein. I think all too often we forget the follower part of the leadership diagram. (The word follower does not appear anywhere in Rothman’s 4200 words.) Without followers what are “leaders”? If you will, followers are the Sancho Panzas to the Don Quixotes of the world. Imagine the Don without a Sancho and you’ve got the worst kind of boring narcissism. My book could more aptly have been titled “Following from the Middle” instead of “Leading from the Middle”. It is, after all, a book on followership, the good kind, in which the follower has all the qualities we ascribe to a good leader, including independent and critical thinking with a propensity for action. One might say, location is the only difference between the good follower and the good leader, especially the unboss. Serendipitously, Rothman’s essay introduced me to West Point English professor Elizabeth Samet’s anthology: “Leadership: Essential Writings by Our Greatest Thinkers.” I expect, when I peruse her collection, I’ll find a few humanist gems to use in my Democratic Workplace classes. Remember Abraham Lincoln’s seemingly quixotic,“Government of the people, by the people, for the people”? 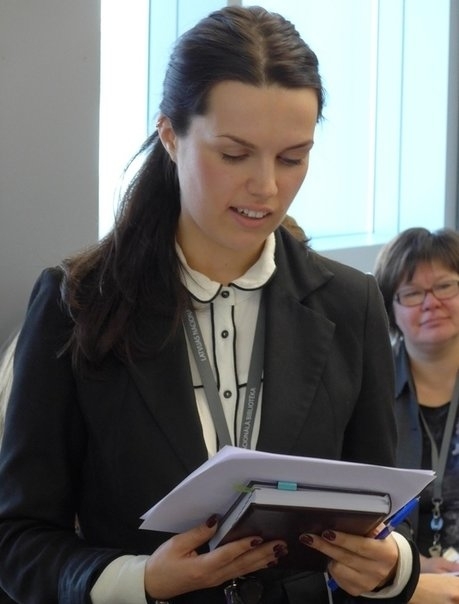 Caption: Group 3’s Eva Ausēja reporting out. The puzzling African proverb about small elephants and rabbits hardly fazed Group 3. Wishing you were something you are not does not always make it so. Icarus, with his glued-on wings, soared too near the sun, and plummeted like our hedgehog, over the cliff. Hedgehog - who has a special place in Latvian folklore and folkart - might have done better to create a means to ride along with the birds. Aesop has, it seems, little patience with those dissatisfied with their situation. The tortoise that badgered the eagle to take him aloft is soon dashed to pieces on a rock. The bee that implored Jupiter for a weapon against those who steal his honey, gained a stinger only to die using it. So, follow your dreams, but think about resources and consequences. *Group 3: Viktorija Vaitkune; Zane Zvaigzne, Gita Ruševica; Elita Vīksna; Agnese Kokneviča; Liene Kalneta; Eva Ausēja. **This is the third fable created by small groups at the "Wisdom in a Thimble: Managers and Fables" discussion I led at the National Library of Latvia in Riga, February 24, 2016. Caption: Group 3 creating its fable. After picking a proverb, each group created a fable. The February 24 event anticipates the publication of my e-book of 100 of the Friday Fables (out of 175) along with my commentary and original illustrations by Béatrice Coron. 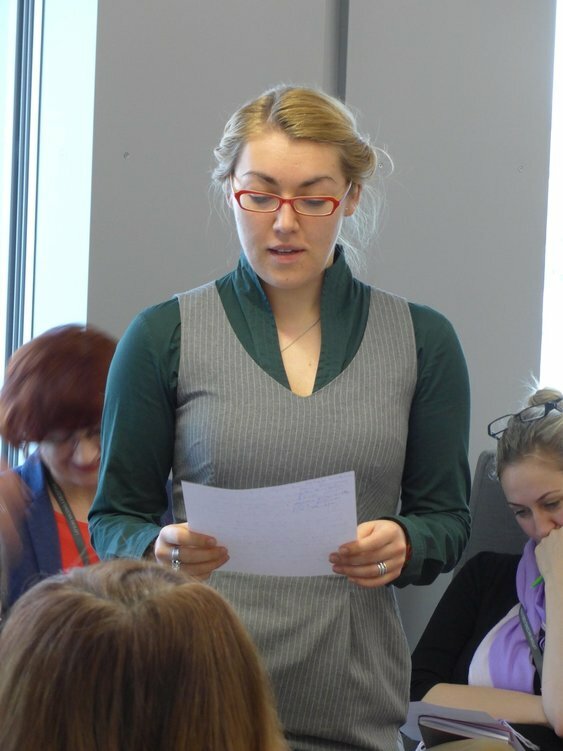 Caption: Group 2’s Irēna Morīte reporting out. ©Foto - Anda Saltupe, 2016. “Once you've cut the bread, you cannot put it together again.” - Latvian Proverb. A poignantly sad story of friendship lost, one friend surrenders to base instinct and gobbles up his little buddy. How often do we say or do things we regret? I recall early in my career, as a manager of several branches, calling up a satellite branch and ordering the assistant to correct a customer’s perceived wrong. I may even have bullied the hapless assistant, “Do you know who I am?” and ordered the change. Shortly after, I heard from the head of the branch in brisk terms what he thought of my high-handedness. He was right. Sure, I apologized, but like cut bread, the loaf cannot be made whole. *Group 2: Gunta Dogžina; Ludmila Macpane; Aina Štrāle; Viktorija Surska; Vēsma Klūga; Irēna Morīte. 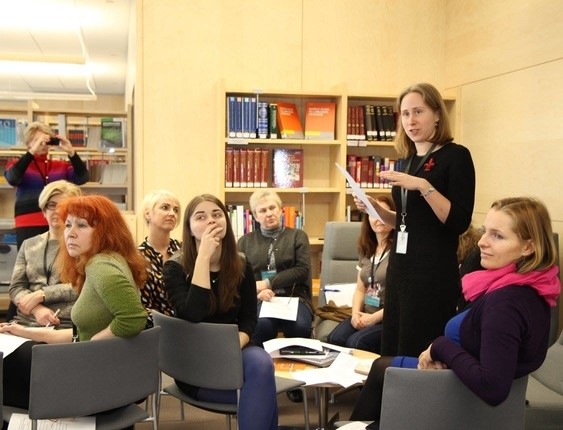 **This is the second of five original Fables created by small groups at the "Wisdom in a Thimble: Managers and Fables" discussion I led at the National Library of Latvia in Riga, February 24, 2016. 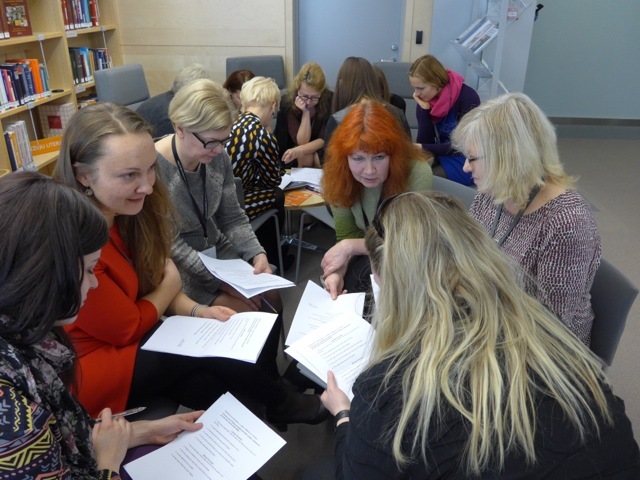 Thirty-five participants in groups of 7 chose one proverb from a provided list of Latvian and African proverbs. The African proverbs came from Kiley Shields' "Puzzling Proverbs: So Why Did The Goat Go Home After It Broke A Leg?" After choosing a proverb, each group built a unique fable in about 20 minutes. The February 24 event anticipates the publication of my e-book (tentatively titled the same as the February discussion) and will include100 of the Friday fables along with my commentary, revised and updated, and original illustrations by Béatrice Coron. Since mid 2012 I’ve blogged on about 175 fables. I’d like to make the e-book also print-on-demand. The tricky part is making sure a nice looking e-book can become a nice looking print-on-demand book. Some I’ve seen “don’t cut the mustard”, as they say. Caption: Pierre: Early Millennial. Maurice Sendak, 1991. 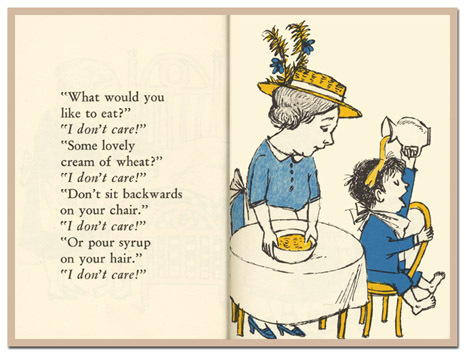 A February 2016 article from the BBC, “The millennial generation shaking up the workplace rules,” took me to a Homer Simpson quote: “Just because I don’t care, doesn’t mean I don’t understand.” That quote evoked a tintinnabulation leading me back to Sendak’s Pierre book published circa 1990. The date may be significant – if I were a psychological researcher, I would say that it was conclusive and provide a gangbuster of a coefficient of variation – since millennials are defined as humans born between 1980 and 1999. Well, there you have it: Pierre, Early Millennial. In the BBC article much is made of how businesses are adjusting or being forced to adjust to this generation of workers. I daresay a millennial would not want to be called a worker, but let’s leave that alone. According to the BBC article millennials are “purpose driven” and are demanding “more flexibility” in how, where and when they work. Some, not all, companies are indeed adjusting expectations about communication and work schedules. Also, millennials are said to require greater trustworthiness of employers. I have to ask, without any snarkiness, When were employees OK about mistrust in the workplace? One business responded to its millennials with a “corporate day” requiring them to dress up in suits, to address each other by Mr. or Ms., to meet in interminable meetings and be droned at, without let up, by the CEO, the CFO, the COO, etc., (well, they did not do that but they should have) and, in general to act as if they were back in the grey flannel suit era of the corporate 50s. The boss of this “corporate day” says (somewhat sinisterly) it was to give his employees "a taste of what a lot of the world is still run like." I’ll take the now decades-old party atmosphere of the Southwest Air corporate get-togethers to which employees fly in from all over to party and to have frank and open discussions with upper management, including the boss. And, at SWA, to dress on the job pretty much as if Casual Friday were everyday, not a special day sanctioned by the corporate chief. Frankly, I do not know if there is such a thing as a millennial-type. 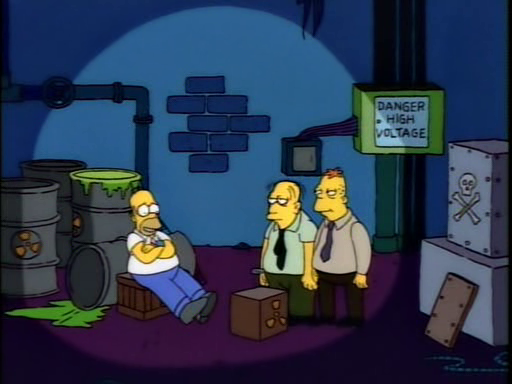 I like to play with the idea in hopes of getting some democratic workplace ideas across. For example, maybe, just maybe, young workers are helping organizations find their tentative ways to a better workplace for everyone. Nor are labor market forces to be ignored as motivators to make firms do nice things. In the software industry there’s keen competition (a seller’s market) to get and retain workers; it is no coincidence that perks of all kinds are laid on for IT workers. Do these perks matter? Does free dry cleaning (pick up and delivery included) really motivate a worker? It’s nice, but unlikely to spur one to come up with the next great app. But, the notion of giving a “guru” designation and elevated salary to someone outside of the corporate suite just might be a very good idea for retaining a worker who loves what she does and has no interest in being promoted to department head or other management position. These are significant and substantive motivators for any and all workers. Not a one of these could be termed a Herzbergian “hygiene factor” – those items or perks that motivate not. The last line of this quote from the start up culture suggests those of us slaving away in non-start up work cultures still have much to do. Are there takeaways from the corporate response to the millennial culture? I suggest that we take a good look at the things (real motivators) that seem to work for the start-ups. How can we become more flexible? How can we develop “more of proactive approach and personal interest in what is happening (in the) company from every team member”? 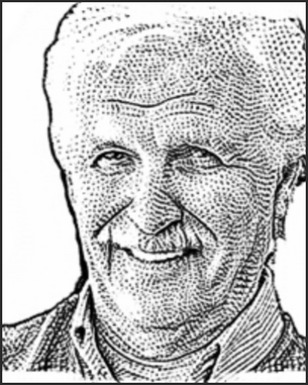 If you hark back to Fred Emery, I think you will see how that can be done. On a personal note, I told the discussion group** about my refugee camp experiences post- WWII. During that time, I acquired the nickname "Jāpacis". I am told it means “Jānis yourself”, as in “I’ll do it myself!” I was said to be a very independent boy who did not want any help from anyone. So, like many proud and haughty creatures, I probably would have benefited, as would the “big and mighty” dog, from less pride and more humility, à la the African proverb/moral. Later, in my career, there were more than a few moments when my inner "Jāpacis" interfered; during those times, I should have been more of a visitor following the villager. On a broader note, there is Joan Druett’s accounting of the relationship between the stellar navigator, Tupai – a native Tahitian - and Captain Cook, the renowned explorer. To the end, Cook would not acknowledge his indebtedness to Tupai’s broad wisdom and pragmatism. Doing so, according to Druett, would have made him (Cook) “uncomfortable”. 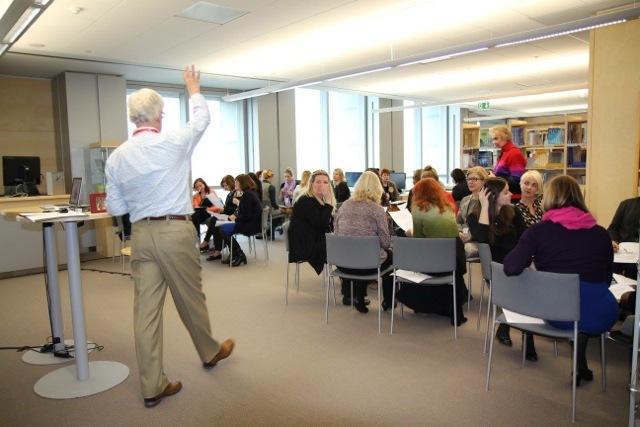 **This is the first of five original Fables created by small groups at the "Wisdom in a Thimble: Managers and Fables" discussion led by me at the National Library of Latvia in Riga, February 24, 2016. 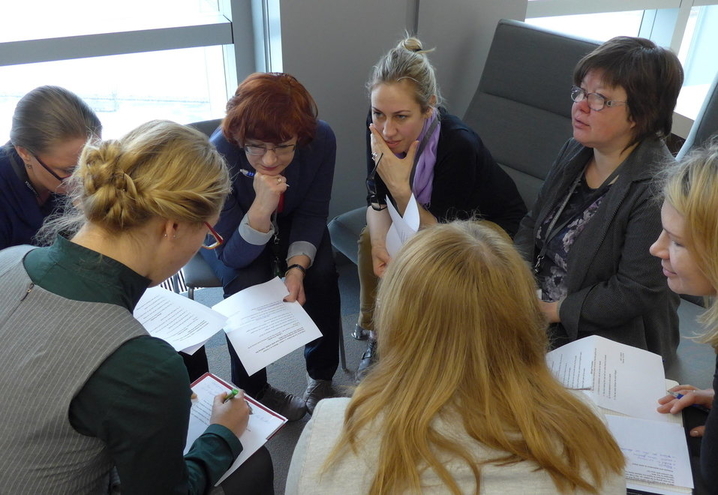 Thirty-five participants in five groups of 7 chose one proverb from a provided list of Latvian and African proverbs. The African proverbs came from Kiley Shields' "Puzzling Proverbs: So Why Did The Goat Go Home After It Broke A Leg?" The February 24 event anticipates the publication of my e-book (tentatively named the same as the February discussion) and will include100 of the Friday fables along with my commentary, revised and updated, and original illustrations by Béatrice Coron. Since mid 2012 I’ve blogged on about 175 fables. I’d like to make the e-book also print-on-demand. The tricky part is making sure a well designed e-book can become a nice looking print-on-demand book. Caption: Me, in a cemetery near my father’s eponymous town of Lubāna. When in a far away place, I most always follow up on recommendations to go see a cemetery. Many are different from cemeteries in the USA with their manicured lawns and well-planned spacing. 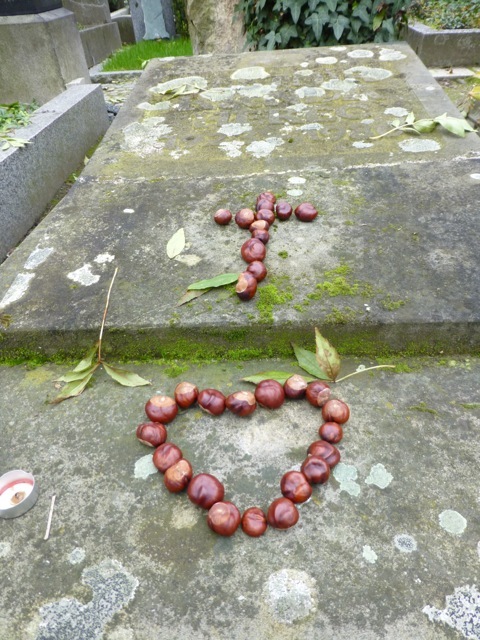 I like those in natural settings, forest cemeteries or old urban cemeteries with markers out of order – much like life, with each grave having its own style from thoughtful to sumptuous. 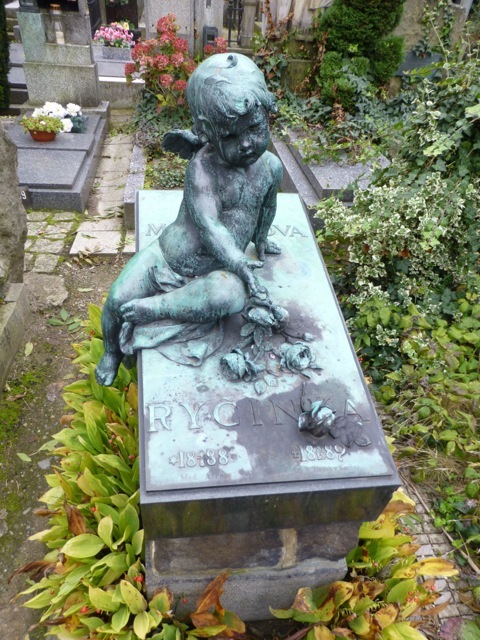 Like in America cemeteries, each plot’s immediate care is left up to relatives or, when absent or gone, to friends. 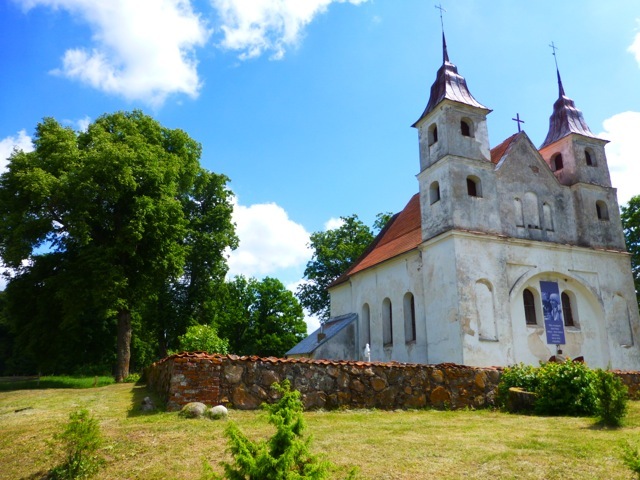 When I am in Latvia, my cousin usually organizes a trip to a little forest cemetery far out in the country, across a secondary road from a rural Catholic Church, its doors never locked. At the Lubāns plot, we pull weeds, trim hedges, hoe out unwanted grasses, plant begonias, straighten up stiff backs and admire our work. We haul away the green debris and toss it down an overgrown bank, below which meanders a sparkling country river. 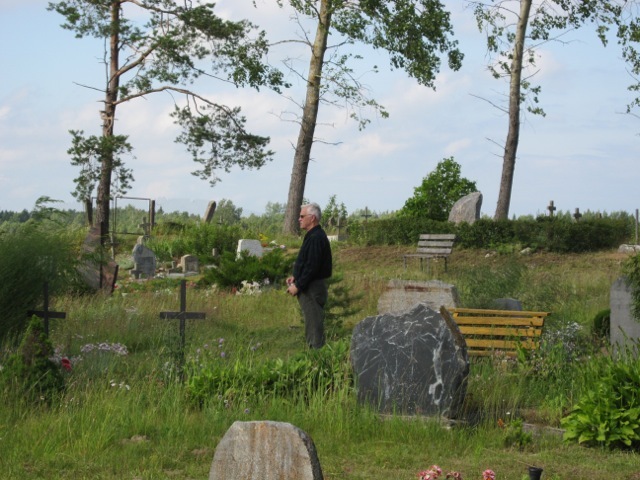 Larger Latvian cemeteries, like those in Riga, provide dumpsters and water stations. In the country, you bring your own water and tools. The Lubāns plot takes on a new look, one like a close haircut – maybe a bit too close – the ears are naked - but no longer overgrown. 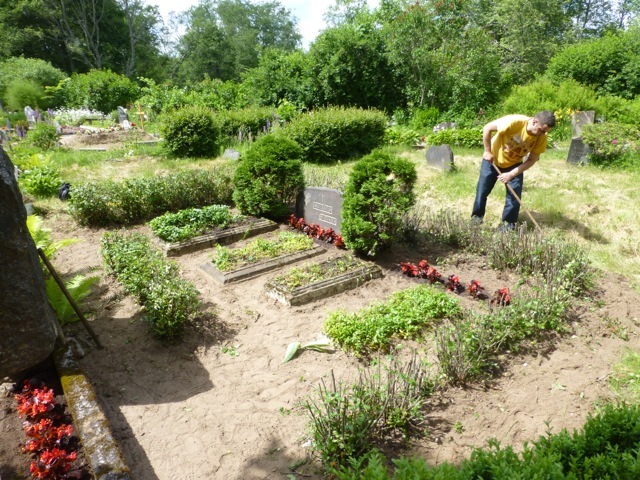 The new flowers - along with a dozen or more grave candles – complete the annual cleanup. Always, before leaving, we stop in the Church to see the current saintly theme of decoration – always with local flowers or tree branches. Years ago, on one All Souls Eve – the Day of the Dead - I spent several hours in the city of Totonicapán’s (Guatemala) cemetery. There people spend the night, families picnic and care for the grave site. Candles glow, kids play, parents catch a little sleep. Not at all the commercialized and zombie-fied Halloween of América del Norte. Forest cemeteries, as I call them, often have plots with benches, some made from stone, others from sticks nailed precariously together. 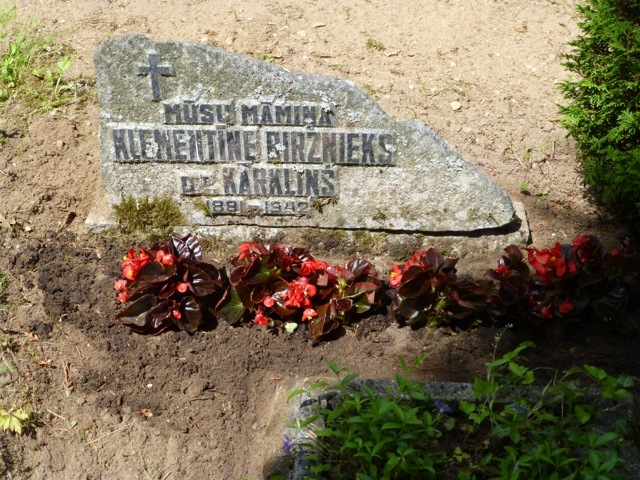 Some gravesites are maintained, it seems, monthly –usually by older women who take the tram to the large cemetery towards the outskirts of Riga. At cemetery’s edge, there are a half dozen flower and candle shops which cater to the visitor. While any hallowed ground slows me down, to stand and listen, to look and wonder yet these are not “elegy in a country graveyard” moments for me. Instead curious thoughts crowd my mind. What might have been for a life interrupted by shrapnel? Earthly remains are below, earthly memories above. Or, an observation: Some of us compete in death for space and recognition as we did in life. There’s no stopping some folks, a soul unwilling to admit defeat. Or, is the glazed and oversized monument the work of those left behind, a way to channel grief into substance? Cemeteries are for the living, someone, no doubt, said. 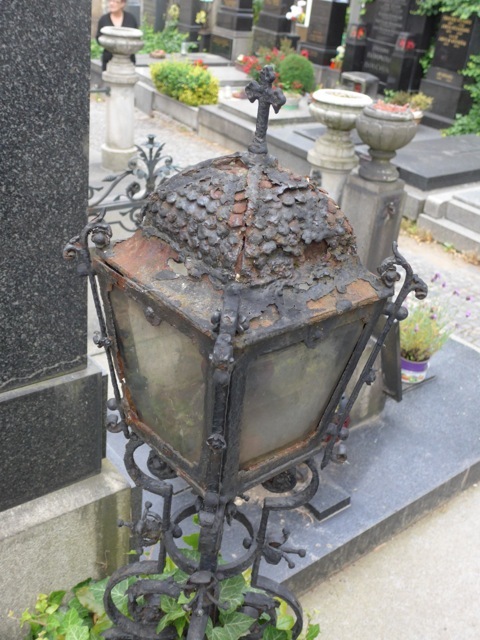 Here are some photos from my cemetery walks. Caption: Clean-up of the Lubans family plot with cousin Edgars. Caption: The church across the way from the cemetery. 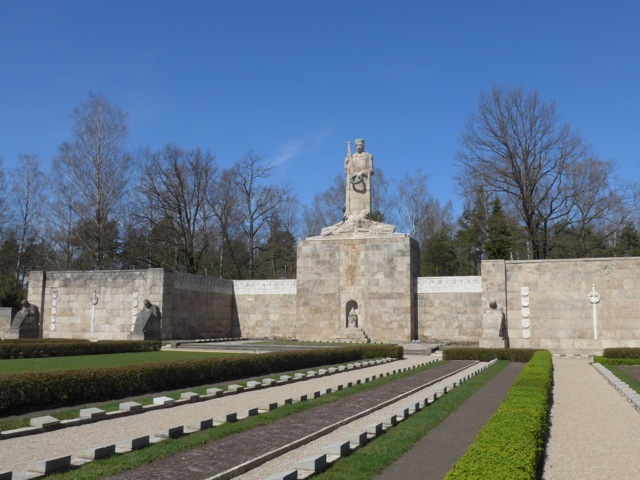 Caption: Memorial cemetery for Latvian soldiers. In Riga. 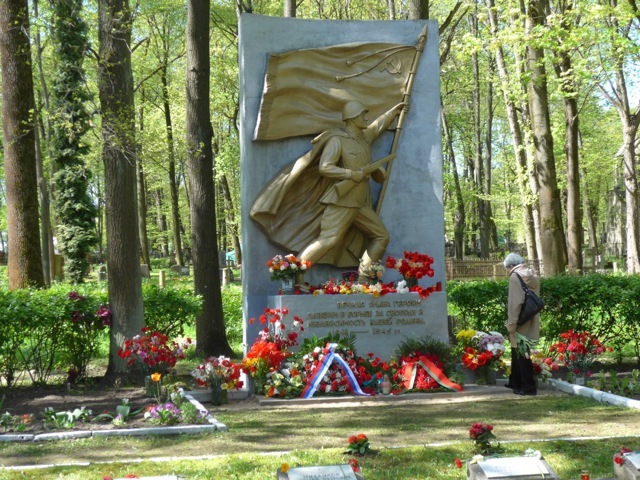 Caption: In Riga, well maintained memorial to Soviet soldiers. Caption: Sometimes simple says it best of all. In Prague. Caption: As mentioned, this friend's grave was part of the clean up illustrated in the first photo.